Product code: 882 Categories: Sold Items, Sold Pocket watches. 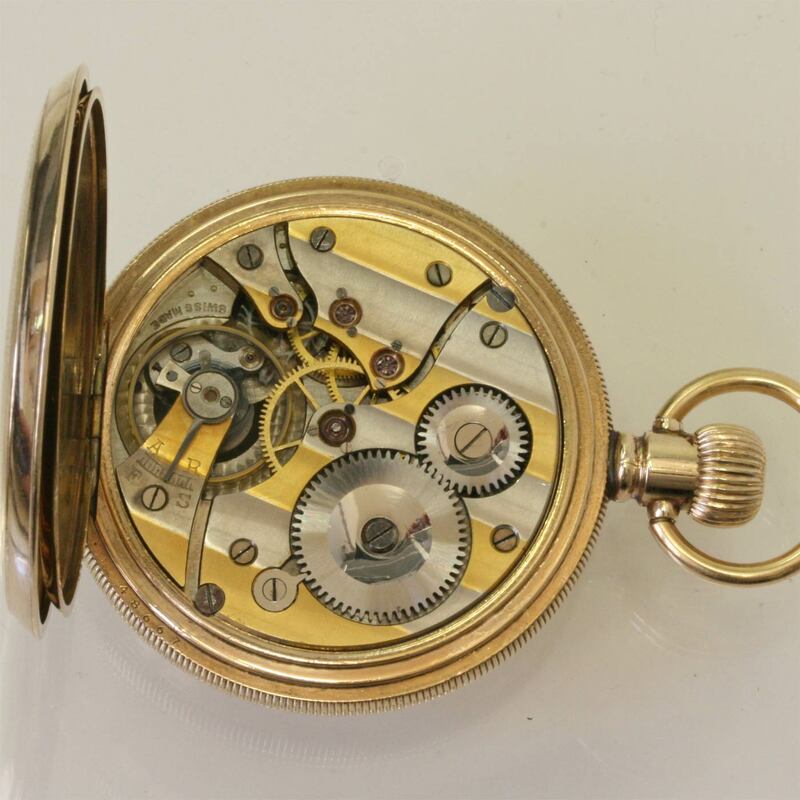 This is a fantastic gents full sized full hunter pocket watch perfect for someone as a gift or for someone who just wants a great looking pocket watch in great condition. Made around 1915, it is made in a rolled gold engine turned case that is still in fantastic condition. The white enamel dial is spotless – no damage or wear at all and still so easy to read. And the movement is amazing to admire! A wonderful Swiss made 17 jewelled movement set onto a 2 tone plate that looks great. 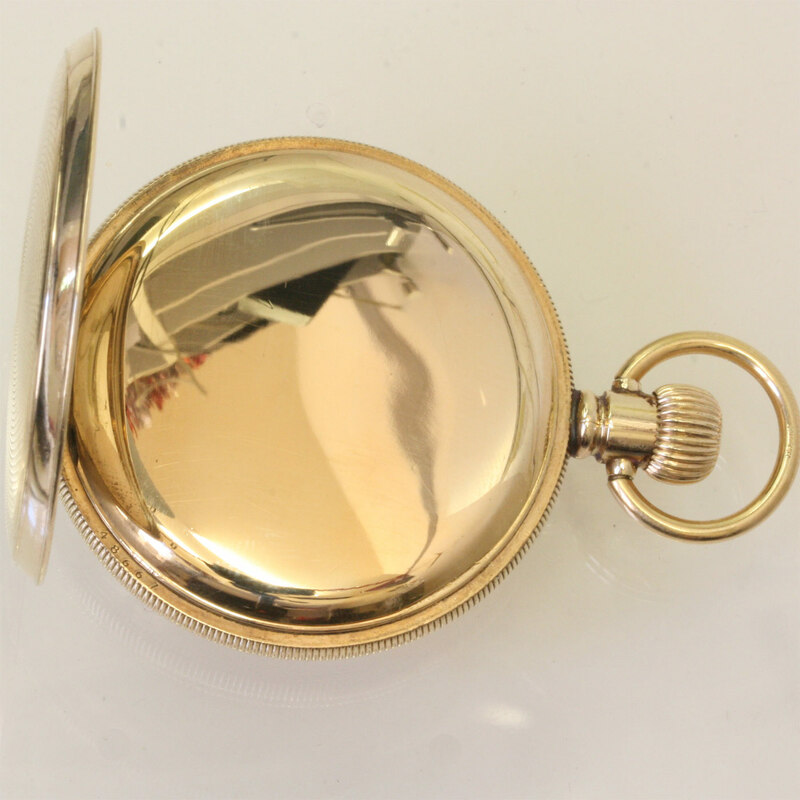 The case which measures 48mm across, is still nice and tight to close and the pocket watch runs perfect and this will make a great gift for someone who appreciates pocket watches of years gone by.